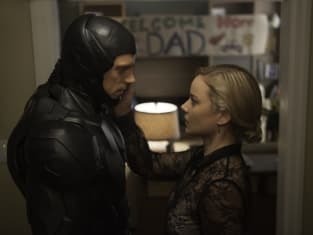 Sony has released five new stills from their upcoming reboot to the RoboCop franchise, starring Joel Kinnaman in the title role. 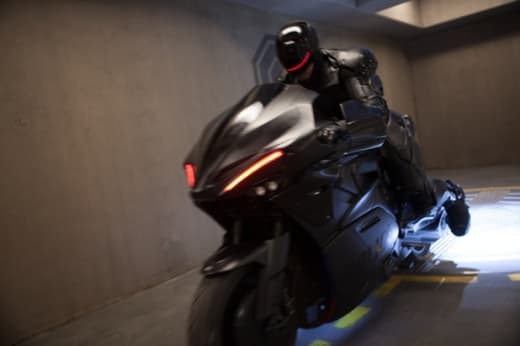 The first photo is pretty awesome, given that it features the killer new ride for our hero. 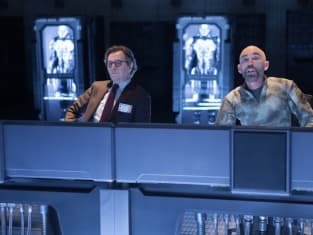 As teased in the RoboCop trailer, the year is 2028 and crime has gotten the best of America. OmniCorp believes they have an answer… a human placed inside a robot with skills that no human cop can touch. But, who will be their first test subject? Kinnman’s Detroit cop almost dies in an explosion and his wife (Abbie Cornish) gives them permission to use him. We know how that’s going to work out! 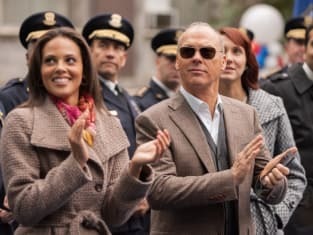 Check out the next few photos of Cornish greeting her husband as he “comes home.” Then, the following stills showcase the outstanding cast, including Gary Oldman, Michael Keaton and Jackie Earle Haley. 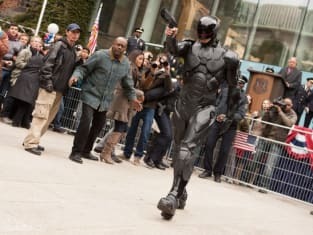 RoboCop hits theaters February 12, 2014.